WASHINGTON – After a pair of massive hurricanes battered Texas and Florida, members of Congress from those states are facing an uncomfortable question: Does relief for one state come at the cost of the other? The fear among many in Washington is that the double-whammy of the two hurricanes — Harvey in Texas and Irma in Florida — could pull away federal resources needed in both states. One of the most important Texans in the middle of these negotiations is U.S. Rep. Kay Granger, a Fort Worth Republican and senior member of the House Appropriations Committee. She told the Tribune that she is “absolutely” concerned about Congress addressing dual disasters. Late last week, Congress passed — and President Donald Trump signed into law — a massive deal that included a short-term funding package for Houston and other Harvey-affected regions. But 90 members of the U.S. House — including four Texas Republicans — voted against the bill because it was married to a hike in the debt limit. That measure was widely viewed as just a start. Texas Gov. Greg Abbott said Thursday that leaders in Washington have assured him that Texas can expect as many as three more rounds of Harvey aid from Congress before the end of the year. "They all are very clear that there will be multiple supplemental budgets that will be passed to pay for rebuilding Texas as well as rebuilding other disaster areas," Abbott told reporters after receiving a Harvey recovery briefing in Austin. "We may have another supplemental budget as soon as the end of this month. There is also expected to be a supplemental budget in the October-November timeframe. Maybe another one by the end of the year." Concerns over how much of those disaster funds will go to Texas vs. Florida are bipartisan and extends to both states. Even so, sources from both delegations and in both parties stressed: Nobody wants this to turn into a competition. “We have to make sure there is enough for both of us,” said U.S. Rep. Lois Frankel, a Palm Beach Democrat. U.S. Rep. Kathy Castor is another worried Florida Democrat, but her concerns extend beyond the two states splitting resources. She worries about politics. “In this Congress? I am [concerned] because there is a split in the Republican Party over whether to support emergency aid or not,” she said. U.S. Rep. Bill Flores, a Bryan-based Republican, brushed off that sentiment, saying he “wouldn’t put much stock” into Castor’s concerns. Congress' recovery efforts could go beyond directly doling out cash. U.S. Rep. Lloyd Doggett, D-Austin, is a senior member of the tax-writing U.S. House Ways and Means Committee. He recently proposed legislation that would allow Americans put out of work by either hurricane to use their 2016 salaries to apply for tax credits — a move that would allow many to qualify for a larger credit than if they filed based on reduced income from 2017. 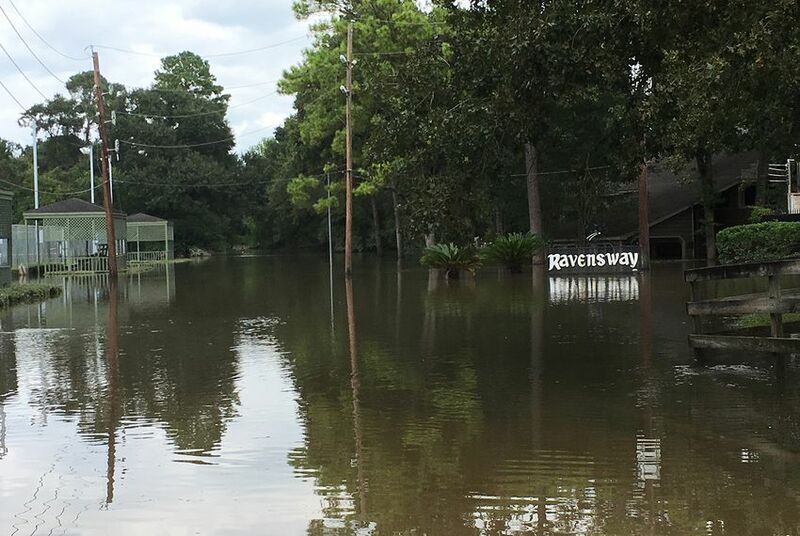 The chairman of Doggett's committee, U.S. Rep. Kevin Brady of the Woodlands, has also floated ideas to change tax policy to help those with property that was in the storms' paths. In recent days, Doggett secured support for his bill from various Democrats in Congress. That support includes unanimous backing from every Texas and Florida Democrat — 22 members from the two states in all. Doggett’s effort illustrates the sheer legislative might the two delegations could bring to both states' recovery efforts if the focus is on cohesion rather than taking adversarial stances. Texas and Florida are the second- and third-most-populous states in the union, respectively, and their combined delegations comprise one-seventh of the U.S. House. While not every member from the two delegations is expected to back future aid packages, they have an enormous base to begin building support.